It’s the Christmas season again and to be honest, there’s little or no time to start planning to create an awesome experience in your Christmas parties. Time is running out and we’re getting booked everyday. Inside and around Arizona, people are taking the initiative to use live music in their parties and events. And more often than none, we are their choice. It’s time to start gearing up for Christmas, New Year’s, and more. Feliz Navidad! Well, almost. We’re less than 3 weeks away from Christmas! Finish your shopping, plan out your Christmas dinner, and make sure to mail out those cards! If you’re still searching for entertainment at your family Christmas party, office holiday celebration, or friendly Ugly Christmas Sweater party, look no further! We would love to play at any and all styles of Christmas celebrations! New Year’s is less than 4 weeks away, so bring in the New Year with friends, family, loved ones, Mariachi, Margaritas, and dance the night away. Let us help keep everyone moving and dancing with our culturally accurate music and our enthusiasm! But of course you know, we can only play in one place by 12midnight on the 1st of January 2017. Why not be the one to score that chance? January 6th brings in Dia de Low Santos Reyes, a day where traditionally, Mexicans exchange their Christmas gifts, celebrating the day the wisemen brought the gifts to the baby Jesus. It is the final Christmastime holiday, but it is not the end of the holidays for the year! It’s a great way to bring together friends and family and get ready for a new year. This would be a great day to get in touch with those loved ones you could not see on Christmas or New Year’s! Mariachi Alegre de Tucson would love to help in the holiday celebrations of 2016 through to 2017! Let us be a part of your family for a few hours while we play our amazing music! We also perform at weddings, Quinceañeras, birthdays, christenings, church mass, funerals, and everything in between. 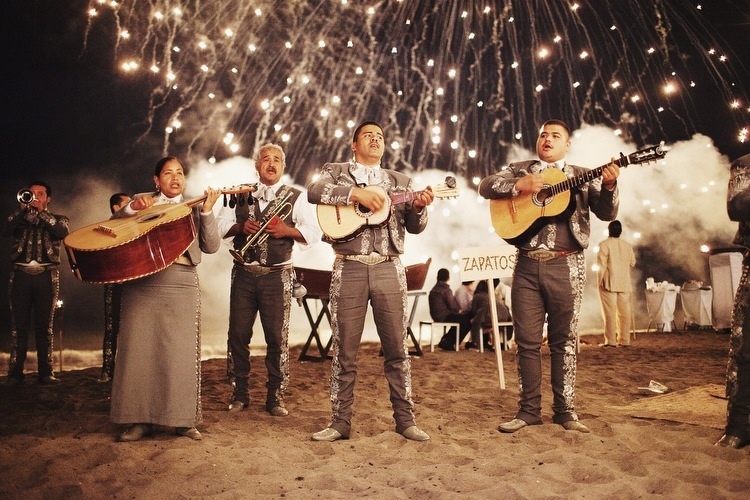 If it’s a cause for celebration or gathering, let us help by bringing in a touch of Mexico and professional music. But if it’s a cause to be sober, we have music and talent for that too. And great news too: We are offering to play at tour holiday parties at a reduced rate of just $225hr. Did I hear a “wow”? Well, take advantage of it. Act fast and beautify your parties for many memorable moments ahead.